Going back to the roots today. My biggest creative inspiration has always been the visual media, mostly of the animated form. Way back when I was a teeny weeny thing, I was mesmerized by Grendizer. Obviously, my love of science fiction was a long time coming. I moved on from Grendizer as I grew up but my interest in animated movies, particularly anime, did not wane. The peerless Miyazaki has been one of my all time favorites, but a few more have special places in my heart. Strands of the themes these movies touch upon lurk in my mind -hopelessness of war, importance of our environment, love, sacrifice and hope in the face of devastation-and often inspires my own work. In no particular order, my 5 favorite Anime movies. Why I love it-Good movies usually keep me thinking about them days after I have watched them. Great ones? I think about them for weeks and quite often watch them again. And again. But when it comes to sad movies, the best are those that I can never watch again, ever. Very few movies actually do that to me. One of them being Schindler’s List. Another being Saving Private Ryan. Grave of the Fireflies is yet another. Honestly, this movie blows the other two out of the water. This movie can break you heart in ways that you never knew was possible. It will make you realize how wars, no matter what great reason it might have been waged for, wreaks havoc on the most fragile in the world-little children. Why I love it-A really short OVA (30mins maybe? 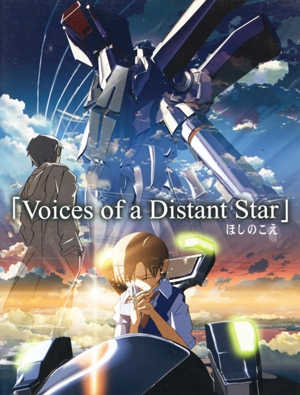 ), but it’s narrative is so simple and effective that it tugs on your heartstrings. The emotions and the loneliness is so beautifully portrayed, they stay with you for a very long time. I also loved the communication aspect and the handling of the time lapse-it made a lasting impression on me when I first saw it, and it still does. And to think that this movie was made by one man on his Apple, his wife providing the VOs for both characters . . . THAT left me even more wow-ed. 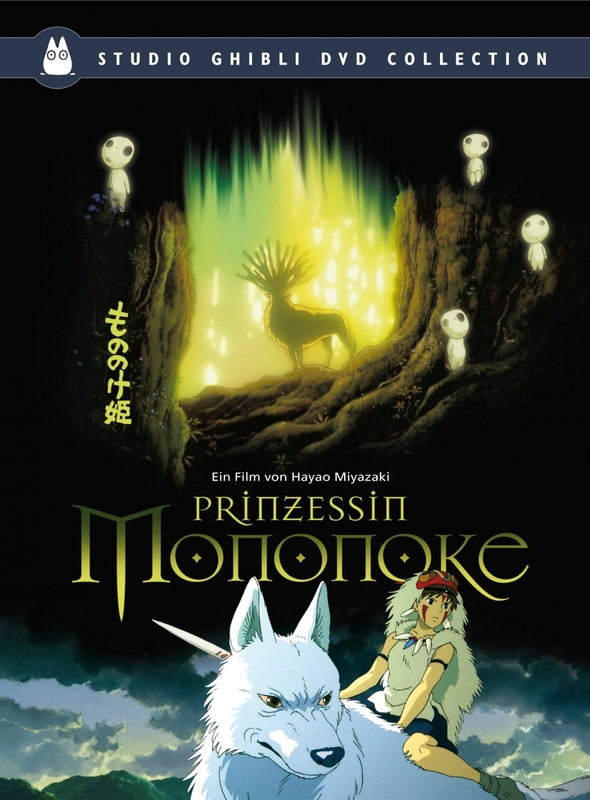 Why I love it-One of Hayao Miayazaki’s finest works with as expected, a strong, independent female protagonist who is innocent and charismatic and full of love and compassion. Nausicaä portrays a vibrant pallet of characters, each interesting and realistic. They are painted not in black or white, but in varying shades of grey. It is never too difficult to understand the motivations of the antagonists and even sympathize with them. Nausicaä remains one of the biggest inspirations for my world, from the heroine who is unafraid to fight, one full of compassion for the devastated ecology of her planet, her love of flying-all nods to Miyazaki’s masterpiece. Why I love it-There are three things I loved and continue to love about this movie. First, is the time travel, especially the last bit of it. 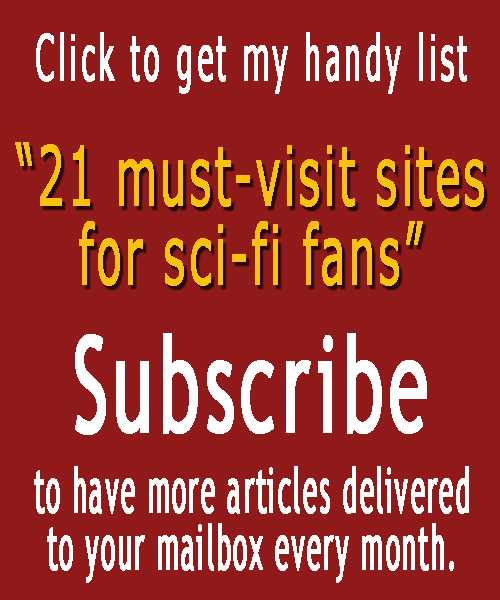 Time travel can be tricky business, and a major fail when it is not done perfectly right. This one is done perfectly right. 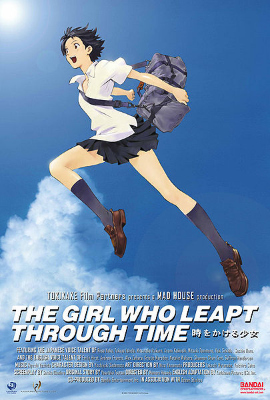 Second, is the heartwarming tale of Makoto growing up through the story, from the carefree (almost careless) girl who fritters away her time-traveling chances to the young woman who realizes every action, no matter how small, has a consequence. Last but definitely not the least, is the sweet and eternally hopeful love of Makoto and Chiaki. Why I love it-Another Miyazaki masterpiece. Another statement on ecology and the struggle between nature and industrialization. The theme seems to parallel Nausicaa’s, but what separates them is the time. Nausicaa’s world is a post-apocalytic one, where war and industry has already devastated the soil and the water, the plants have mutated to toxic variants. In Mononoke, industrialization is just starting to encroach into the forests and displacing the animals and tribes. The characters here are more complex and the arcs more intricate. Once again, there is no painting people in black or white, they are instead all shades of grey. There is no magical redemption either, but only the hope of understanding and future peace. Yes, very real and very honest. So, there it is. Tipping my hat at a few stunning movies that continually boosts my spirit, ones that have influenced me in more ways than one, ones that never ceases to amaze me with their inventiveness, gorgeous visual imagery and phenomenal storytelling. ‹ She’ll Kill Me If She Knows . . .